While Tillerson’s ouster from the State Department has been rumoured for months, Trump’s decision to fire him was abrupt. Tillerson’s ouster left many in Washington and around the world frustrated and surprised. Despite frequent rumours he would be forced out, many assumed Tillerson had settled into the job. North Korea was the biggest factor leading to Tillerson’s ouster,according to CNN, while the president himself cited a disagreement over the Iran Deal. Tillerson also attracted criticism for his management of the State Department, emphasising his desire to shrink and streamline its operations rather than maintain or extend US influence. Republican legislators also praised Pompeo’s appointment. 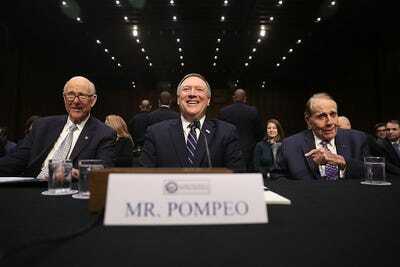 Arkansas Sen. Tom Cotton, once rumoured to be Pompeo’s replacement at the CIA, called Pompeo “an outstanding selection.” Florida Sen. Marco Rubio said he would “enthusiastically support” Pompeo’s nomination.